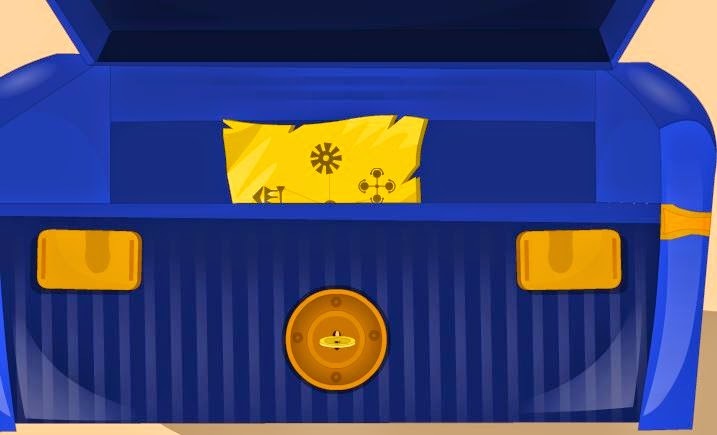 Here is the walkthrough solution for Rio - a Windows point-and-click type room escape game. 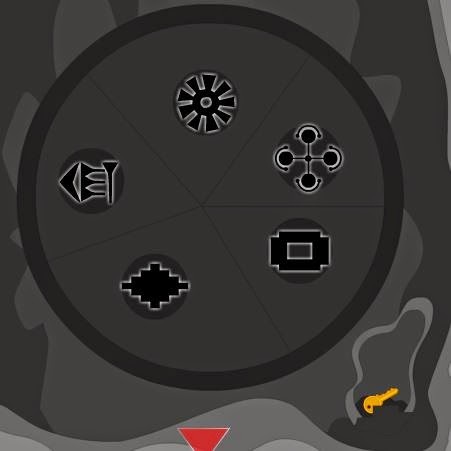 This walkthrough will provide you with step-by-step instructions, screen prints, and all the help you need to solve this game. 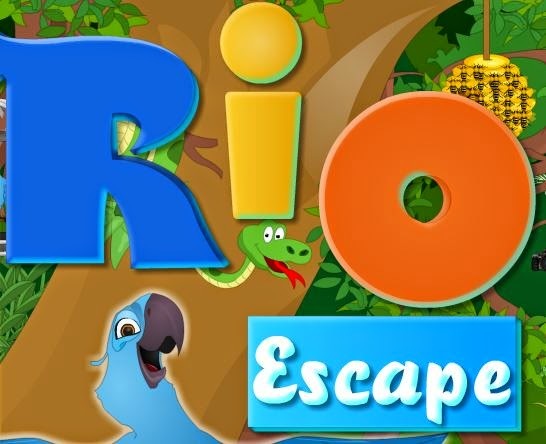 You can play Rio Escape here. If you need more help on this solution guide, then please use the comment section below. 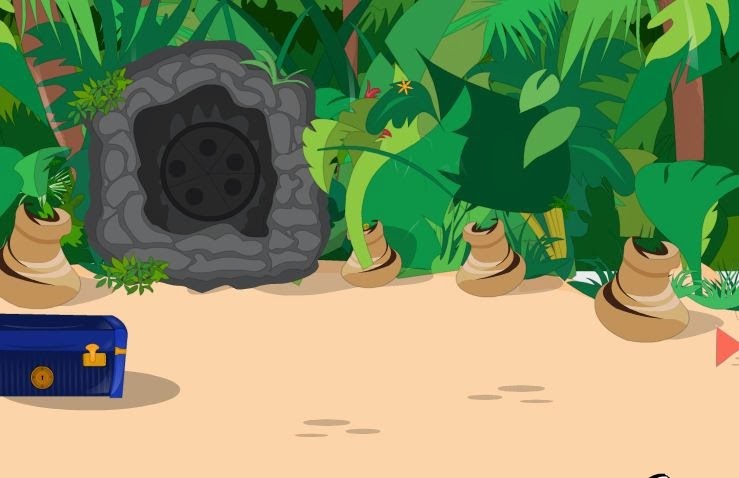 About Rio Escape: Rio escape is another type of point and click new escape game developed by Games2rule.com. 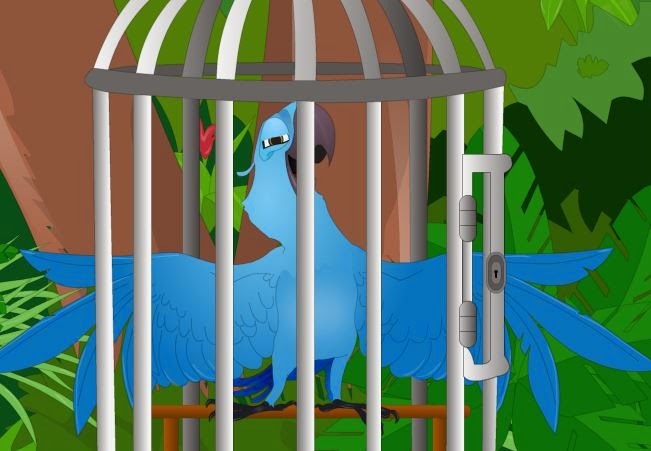 Blu and Jewel enjoy life in Rio with their 3 kids but suddenly blu trapped by villain in Amazon forest in a cage. The blu family is crying for the help.Will you help their family? This time you want to use your escaping sharp mind for any ones help. 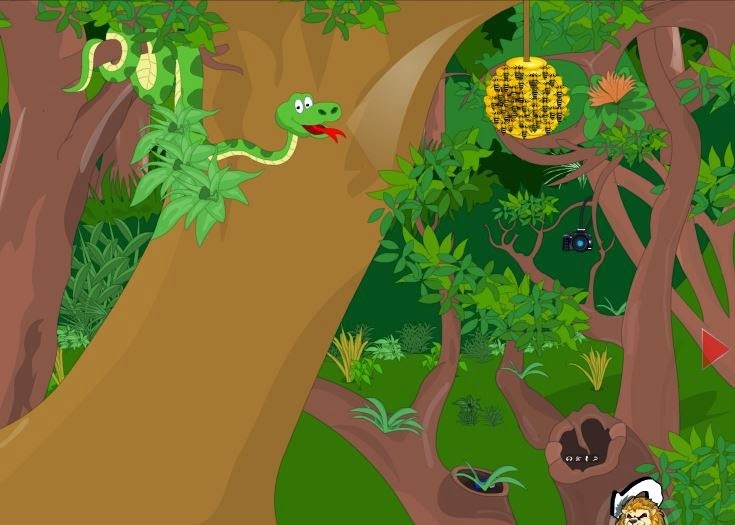 Search the clues and objects in the amazons forest, solve all the puzzle and escape the blu and show your greatness. Take the box of matches from the plant at the bottom, nect to the code. Take a match out of the box. Take a blue feather from the blue bird in the cage. Go left and left again. 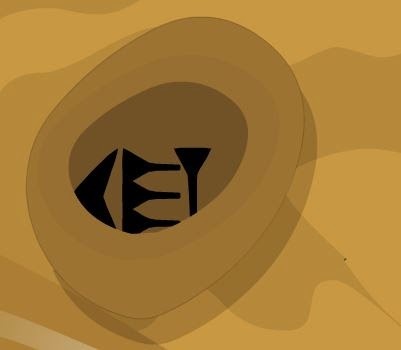 Take a golden key from the second-from-left pot. Zoom in on the bee hive. Zoom in on the box of matches. Strike the single match that you took out. 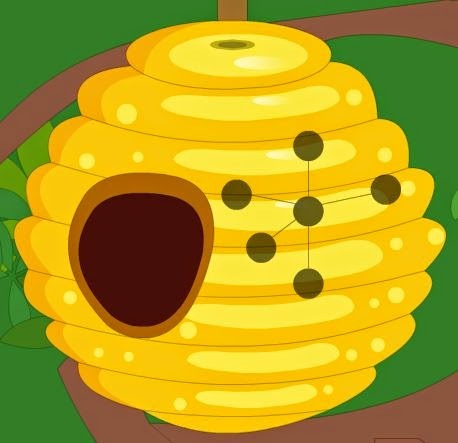 Use the lighted match on the bee nest. Zoom in on the bag, open it and take the note with a code: 00050 for me. Zoom in on the snake. Tickle its tail with the feather. Zoom in on the tree stump bottom right and adjust to match this code. 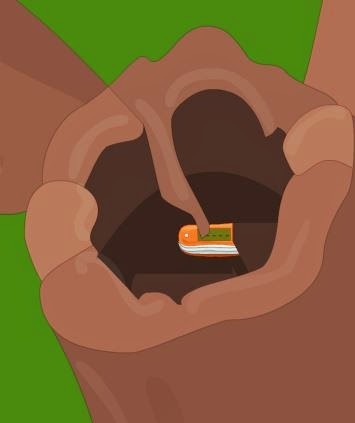 Take the orange pocket knife. Zoom in on the knife. Open the knife by setting the code as per the paper note. 00050 for me. Take a photo with the camera of the dark part of the tree. Zoom in on the red part. Use the camera to take a short of the bright flower top right. Zoom in on the red circle, just left of the beehive. Cut it out with the knife and take the symbol. Do the same with the red dot on the big tree. Use the camera to take a photo of the flowers in the center. Zoom in on the red dot on the pot. Cut out the red dot on the grey structure then take the 5th symbol. Go right and right again. 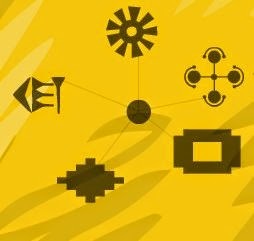 Use the golden key to open the cage! Well done on a great escape. 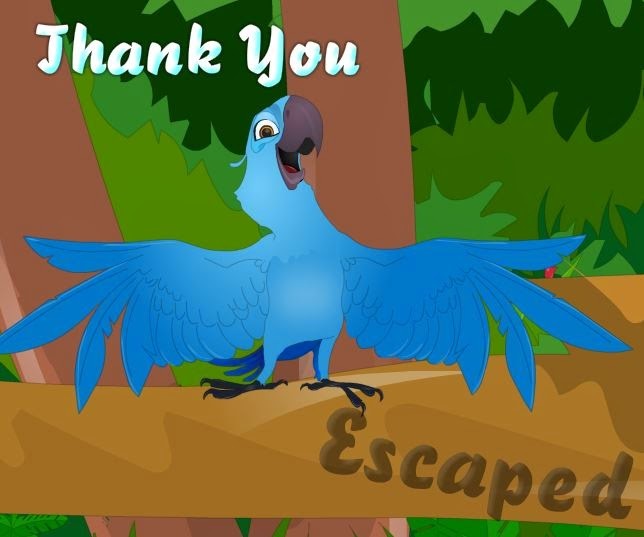 Hope you enjoyed my Rio Escape Walkthrough Solution.